You might be wondering after all that activity in the summer, what are the Scots Science Scholars up to right now? After kicking off the official beginning of the semester with the covenant ceremony, the students have been very busy with the beginning of the school year and learning a lot more new content in science and math, in addition to other things like writing and history. They are completely immersed in their academic schedules and they are BUSY! Besides content-driven major courses, S3 are also spending time this semester exploring STEM through two First Year Seminar Courses, FYS 100: Introduction to the College and FYS 120: Explosive Chemistry. Just like all first year students at MC, S3 students are exploring career options and goals in FYS 100. They have already completed a career assessment called the Strong Interest Inventory which is meant to measure people’s preferences with regards to career. This is the first step in many they will take as they begin to form a clearer picture of not only their career goals, but their vocations and the context of the work they choose in a wider community. The students will also be attending presentations by current juniors and seniors in STEM majors who completed summer internships last year. They’ll be hearing from about 10 different students about experiences as wide ranging as working on climate modeling at the Oak Ridge National Laboratory to tagging marmots in Huron-Manistee National Forest. Some recent alumni will be visiting to talk about their current work and how they got there. We will also hear from established STEM professionals about long-term career paths and experiences. Three trips are already planned for this semester . The first will be tagging Monarch butterflies in Cades Cove with the Tremont Institute (that is assuming that the federal government will reboot in time). We’ll be making another visit to the Oak Ridge National Lab to tour the Aquatic Ecology Laboratory and we’ll round out the semester at The National Institute for Mathematical and Biological Synthesis (NIMBios) by attending the Undergraduate Research Conference at the Interface of Biology and Mathematics. While there we’ll get to see Maryville College senior Robert Adams present a poster of his summer work on protein translation and genome evolution. 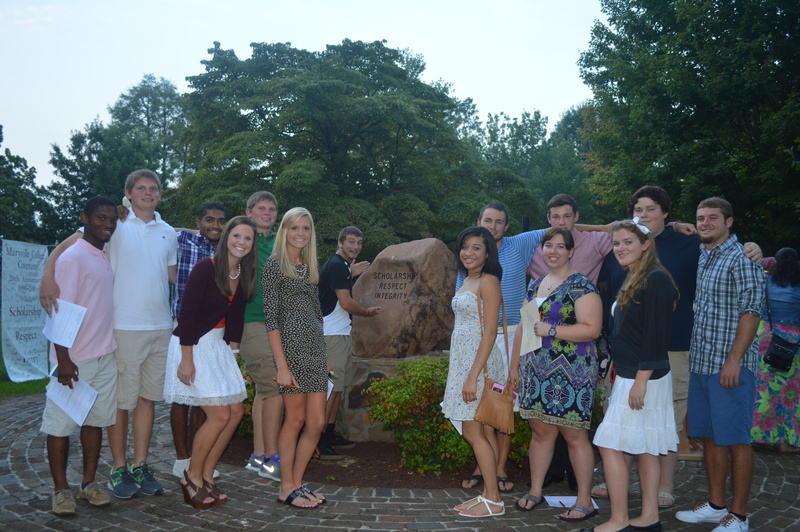 So it’s a busy first semester for these students, but they are still finding time to enjoy campus life. 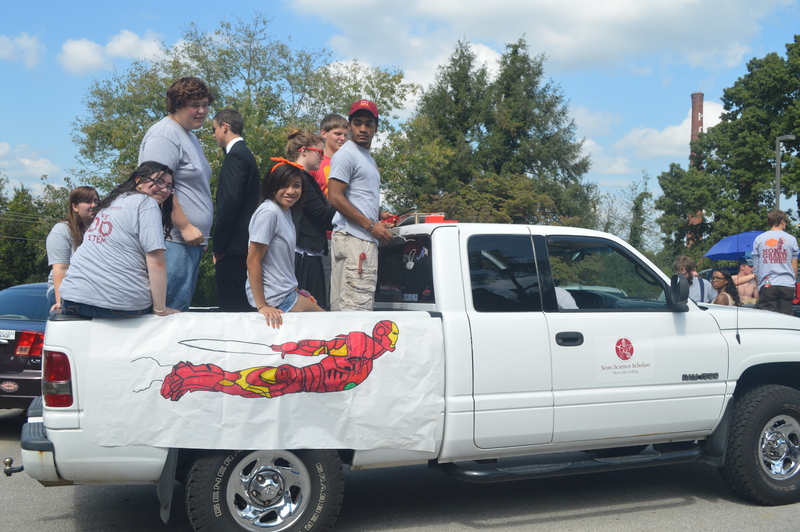 most recently, they participated in the homecoming festivities with their Iron Man themed float! Submitted by Maria Siopsis, Scots Science Scholars Co-director. This entry was posted in Uncategorized and tagged Maryville College, National Science Foundation, STEM, STEM Talent Expansion Project. Bookmark the permalink.